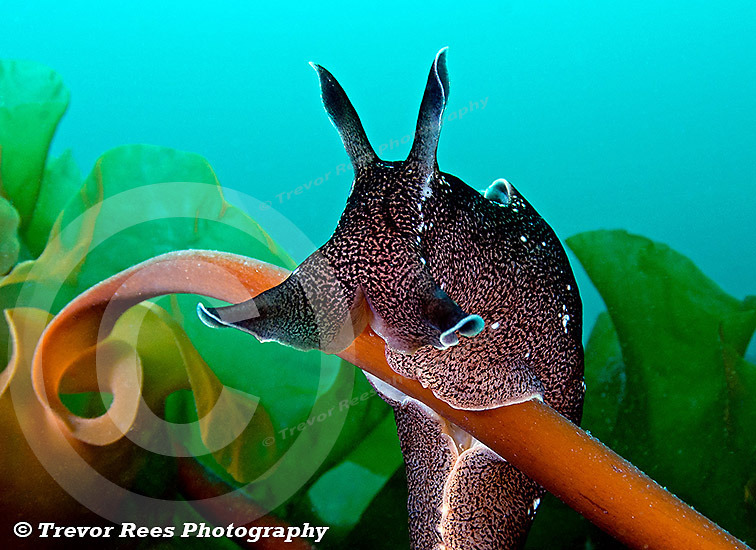 This sea hare (Aplysia punctata) was photographed in Loch Eriboll on the north coast of Scotland. It was a large specimen at around six inches long and was found in shallow water on a kelp stalk. At the British Society of Underwater Photographers (BSoUP) this image was awared the the top spot for the competition theme 'molluscs'.